Before modern technology, oxen were one of the main sources of motive power in the British countryside. They were used for farming and transportation and have left a lasting mark on the language, landscape, and culture. 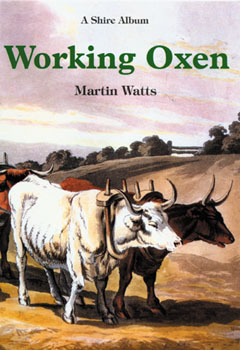 The purpose of the book Working Oxen is to fill in the forgotten history of working oxen. Text and illustrations provide detailed descriptions of the work of oxen throughout history.